The What: FSR has begun shipping its Huddle BLOX Charging Stations, which were introduced at InfoComm 2017. The What Else: The Huddle BLOX is a sturdy and convenient charging station that doubles as a table, or an end-table that doubles as a charging station. Providing wireless and USB charging along with AC power allows connections with room to spare. These sturdy blocks are available in two sizes and an array of finishes including black, white, and maple. 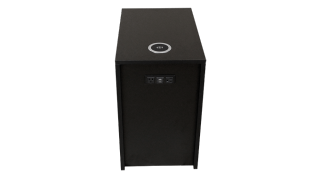 The Bottom Line: Huddle BLOX was designed for use in libraries, coffee shops, lobbies, media rooms, or any location where powering up is desire.